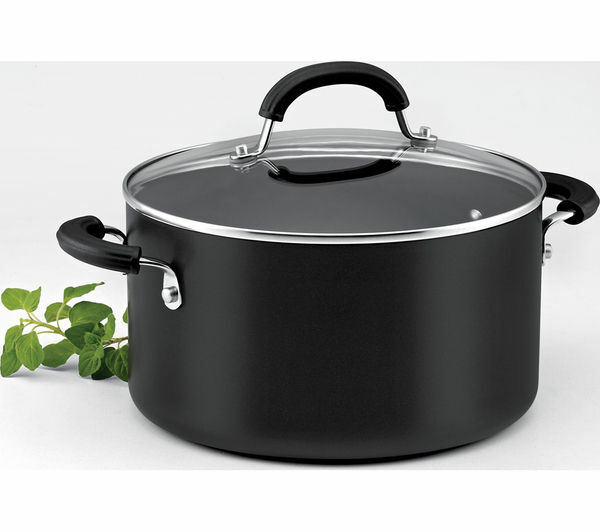 The Circulon Origins 24 cm Non-stick Stock Pot is perfect for making delicious casseroles, stews, soups and much more. 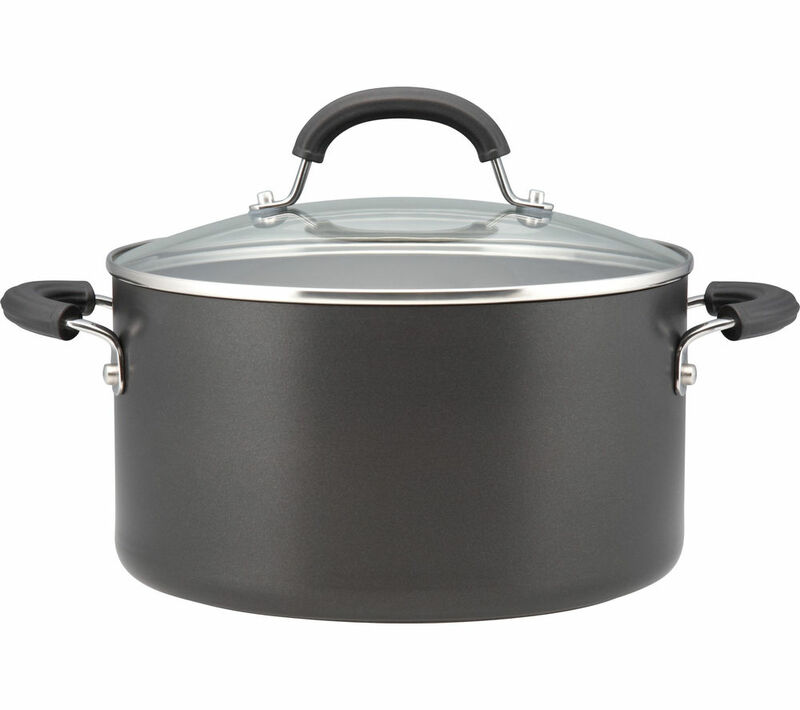 With a hard anodized construction, the Origins Stock Pot features a lifetime guarantee for years and years of reliable cooking. It's suitable for all hobs including induction and is dishwasher safe and oven safe up to 180°C. The stock pot features a unique surface of raised circles, which helps to reduce abrasions and makes it easier to clean. There's also a patented Total Hi-Low Food Release system that delivers outstanding non-stick performance for the lifetime of the pot. With a 5.7 litre capacity, you can cook up delicious dinners for the whole family with the Circulon Origins 24 cm Non-stick Stock Pot. Works well on induction hob. Great for large quantities of stock, soup etc. Handles don't get hot, so easy to handle. Rather expensive for one pan, but quality is good.